Importer: Britax Child Safety Inc., of Charlotte, N.C. Hazard: The harness chest clip can break and pose a laceration hazard. Due to its small size it also poses a choking hazard. Incidents/Injuries: The firm has received four reports of the chest clip breaking. Injuries from three reports included minor lacerations and scratches to arms and a finger; and one report involved an infant placing the clip in his mouth. 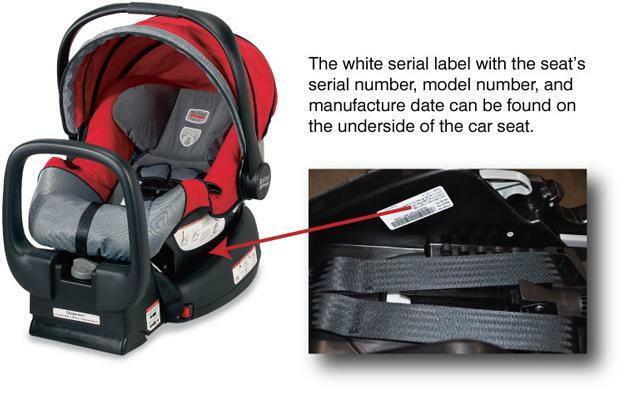 Description: This recall involves Chaperone infant car seats with model numbers E9L95P2 (Red Mill), E9L95P3, E9L95P5 (Cowmooflage), E9L69N9 (Moonstone) manufactured between April 2009 and May 2010. The white serial label with the seat’s serial number, model number, and manufacture date can be found on the underside of the car seat. Sold at: Mass and independent retailers nationwide and on the Britax website from June 2009 to October 2010 for about $230.